A transparent grayish blue aquamarine was submitted which was interesting for its strikingly strong pleochroism. 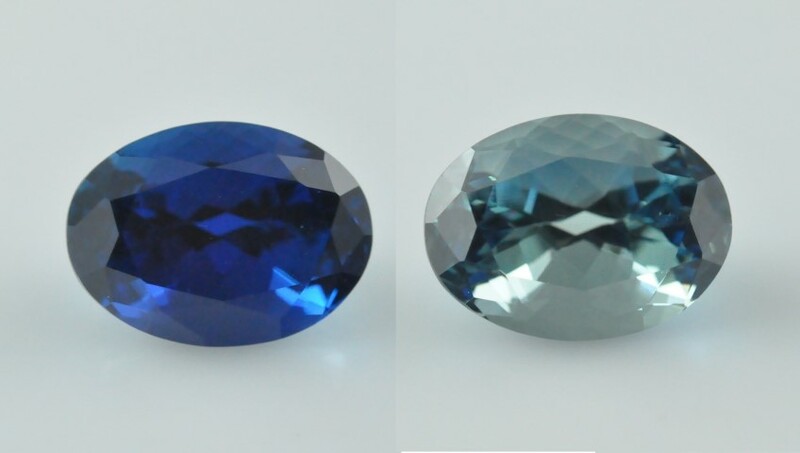 It displayed deep saturated blue along the e-ray (left), similar to sapphires, and a pale bluish green along the o-ray (right). 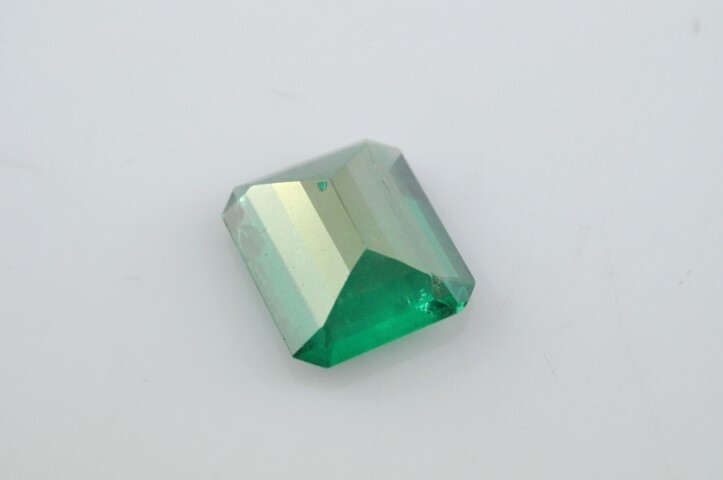 Absorption spectra confirmed the sample to be an aquamarine rather than a Maxixe-type beryl. 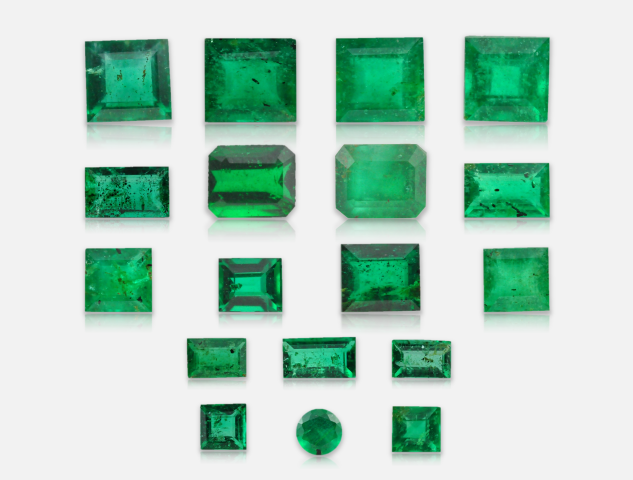 Nine faceted emeralds submitted to the Gem Testing Laboratory, Jaipur, India, were identified as coated owing to the metallic to sub-metallic reflections on their pavilion facets. The coated surfaces did not show any diagnostic features with routine EDXRF and Raman spectroscopy. However, some samples had concentrations of the coating substance in surface cavities, and Raman analysis of those areas revealed the presence of amorphous carbon. Specifically, the presence of a broad absorption feature at ~1550 cm-1 with a shoulder at ~1360 cm-1 identified the coating substance as an ‘a-C’ type film. Microscopic observation showed that the coating was damaged and removed from several areas, suggesting its instability to normal wear and tear. 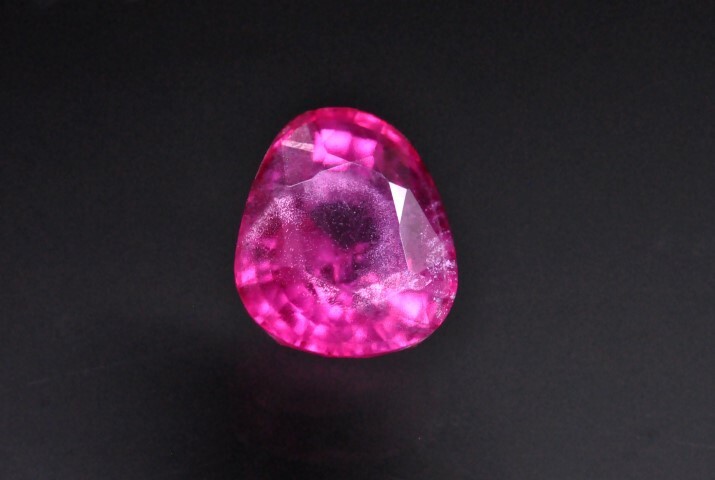 Upon initial observation of a purplish red specimen with the unaided eye under normal room lighting, it displayed sheen-like reflections when viewed face-up. This sheen was caused by a plane consisting of fine reflective dendritic inclusions positioned just below the girdle. This confirmed the specimen was a doublet and the components used were synthetic rubies on both crown and pavilion sides.